President Pranab Mukherjee on Tuesday said ace athletes like PV Sindhu, Sakshi Malik and Deepa Malik illustrate strength of India's women. 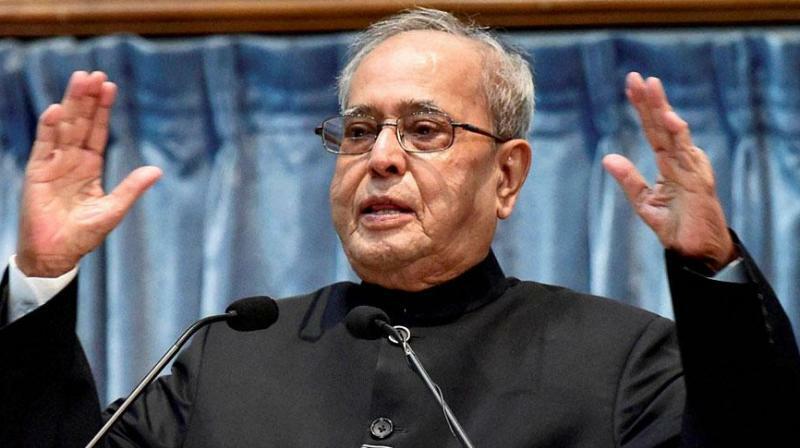 New Delhi: Asserting that the present government is making 'Nari Shakti' an integral part of country's development journey, President Pranab Mukherjee on Tuesday said ace athletes like PV Sindhu, Sakshi Malik and Deepa Malik illustrate strength of India's women. Addressing the Parliament in a joint session of both houses as is customary ahead of the Budget Session which begins on Tuesday, President Mukherjee said, "My government is making ' Nari Shakti' an integral part of our development journey. They deserve equal opportunities." "Olympic medalists PV Sindhu, Sakshi Malik, Deepa illustrate strength of our women," he added. Ace shuttler Sindhu had created history by clinching the lone silver medal for India in the 2016 Rio Olympics, whereas wrestler Sakshi bagged the bronze medal in the prestigious quadrennial event. Deepa, on the other hand, scripted history last year by becoming India's first-ever woman to win a medal at the Paralympic Games. She achieved the feat by winning silver in the women's shot put F53 event at the Paralympics in the Brazilian city of Rio de Janeiro.